The conflict between urbanites and wildlife recently developed a new battleground: the small coastal New South Wales town of Batemans Bay, where the exceptional flowering of spotted gums has attracted a huge influx of grey-headed flying-foxes from across Australia’s southeast. 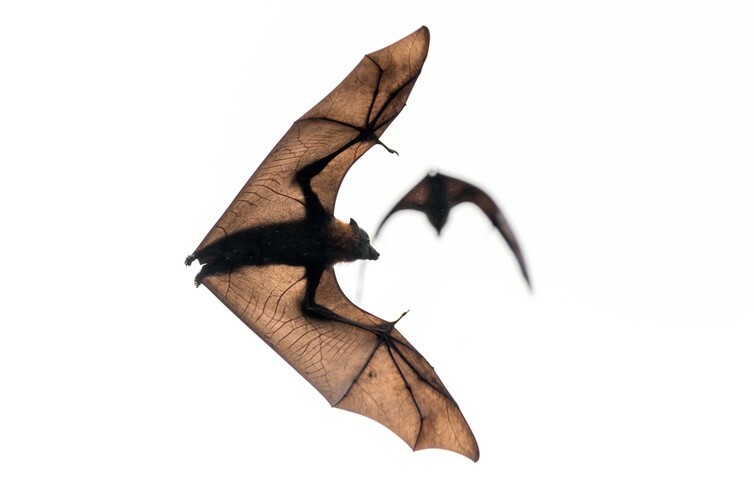 In response to intense and highly publicised community concern, federal Environment Minister Greg Hunt has announced he will seek an immediate National Interest Exemption to facilitate dispersal of these bats – a move that risks undermining legal protections afforded to this and other threatened species. 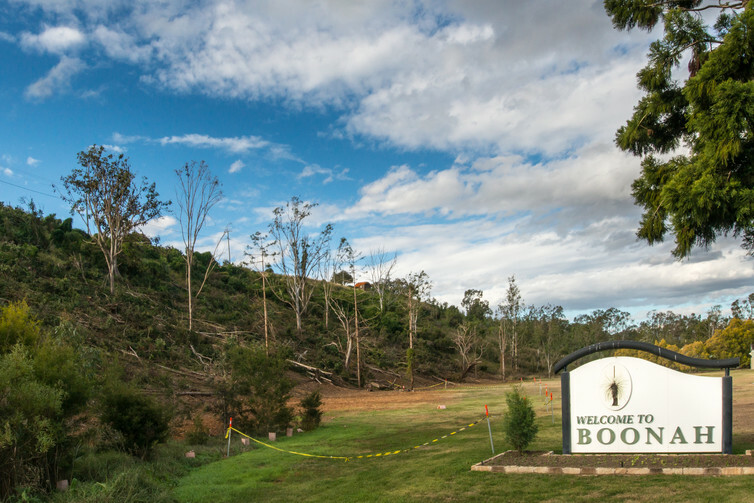 Similar conflicts are occurring elsewhere in NSW, such as the Hunter region, where some unscrupulous members of the public lit a fire in a flying-fox roost at Cessnock. With the ongoing expansion of the human urban footprint, animals are increasingly confronted with urban environments. Human encroachment into natural habitats generally negatively affects biodiversity. However, urban landscapes can present wildlife with an irresistible lure of reliable food supplies and other resources. While urban wildlife can provide a range of benefits to health and wellbeing, it can also be cause for frustration and conflict. Urban human-wildlife conflict is a growing area of management concern and scientific research. But the research suggests that the current strategies for addressing NSW’s conflicts between humans and flying-foxes might not have the intended results. Australian flying-foxes are becoming more urbanised, and the noise, smell and droppings from their roosts can have huge impacts on local residents. A fundamental problem underlying current approaches to urban roosts is a lack of understanding of the extraordinary mobility of flying-foxes. They are some of the most mobile animals in Australia, with movements that range from foraging trips of up to 120 km in a single night to long-distance nomadism covering thousands of kilometres in a single year. While roosts can remain active for decades, they are more like backpacker hostels than stable households, housing a constantly changing clientele that comes to visit local attractions. Roosts are connected into large networks through which flying-foxes move in response to changes in local food resources. This explains the sudden influx in places such as Batemans Bay where preferred food suddenly becomes abundant. But it also highlights the importance of a national approach to flying-fox management and conservation. Intense local flowerings of Eucalypts, such as spotted gums, produce copious amounts of nectar and pollen, which attract large numbers of flying-foxes and other species for several weeks. When a relatively small local flying-fox population that is tolerated by its human neighbours suddenly increases tenfold, it can place severe pressure on the local community. Despite their transient nature, these influxes are often wrongly interpreted as population explosions, leading to calls for culling. In comparison, more humane tactics – such as using loud noise or vegetation removal to disperse the flying-foxes – can seem like a more balanced response. But does dispersal actually work? There is now ample evidence to show that dispersals are extremely costly and can exacerbate the very human-wildlife conflict that they aim to resolve. Most dispersals result in the flying-foxes returning the original roost as soon as the dispersal program ends, because naïve new individuals continue to arrive from elsewhere. Overcoming this can take months or years of repeated daily dispersal. Other dispersals result in flying-foxes establishing new roosts a few hundred metres away, typically within the same urban environment in locations that we cannot control. This risks shifting the problem to previously unaffected members of a community and to other communities nearby. While flying-foxes are often portrayed as noisy pests, they serve our economic interest by providing irreplaceable pollination and seed-dispersal services for free. What’s more, those same bats that annoy people during the day work tirelessly at night to maintain the health of our fragmented forests and natural ecosystems. So it is in our national interest to manage conflict at urban roosts, by using approaches that balance community concerns with environmental considerations. To be considered “successful”, a dispersal should permanently reduce conflict to a level that is acceptable to the community without causing significant harm to the animals. However, dispersals are currently implemented at the local council level with little or no monitoring of the impacts in or outside the immediately affected area. This makes it hard to assess whether they have been successful. For example, it is not uncommon for flowering to cease and flying-fox numbers to decline naturally during the period of active dispersal. This gives the community a false sense that a permanent solution has been achieved, when in fact the issues will recur the next time the trees blossom. There is thus an urgent need for urban roosts to be managed with properly defined and applied criteria for success. Unfortunately, lack of research effort directed at “ugly” and “less popular” Australian animals means that very few evidence-based management tools are available to deal with contentious roosts. Research targeting a few key areas would greatly help efforts to improve urban roost management. For instance, we do not know how flying-foxes choose their roost sites, which leaves us unable to design “carrot solutions” by creating more attractive roost sites elsewhere. Intensive tree-flowering events are relatively infrequent and hard to predict. This means that it is difficult to prepare communities for a sudden influx of flying-foxes. 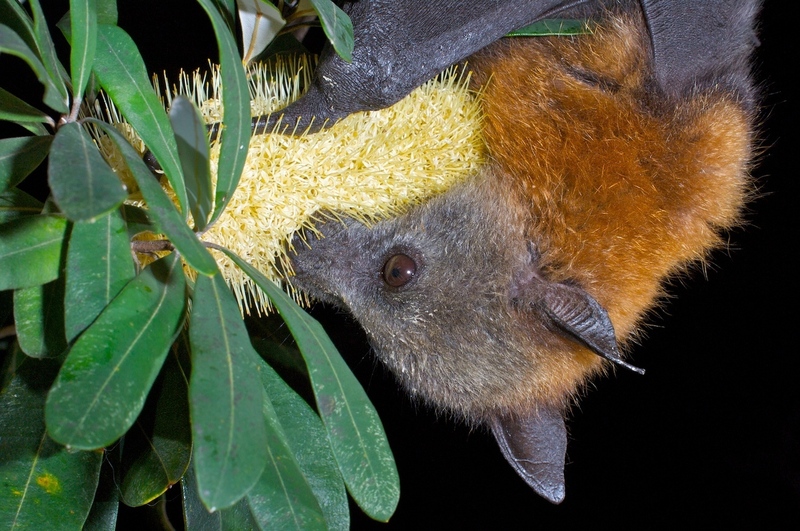 Furthermore, the acceptability of various flying-fox management options differs between sections of the community, so it is difficult to find optimal solutions. Social scientists are currently trying to help identify priority areas that promote long-term viability of flying-foxes while also easing conflict with humans. Local, state and federal governments continue to allocate considerable funds for dispersal responses, even though such actions are high-risk activities for local communities and are unlikely to provide long-term solutions. 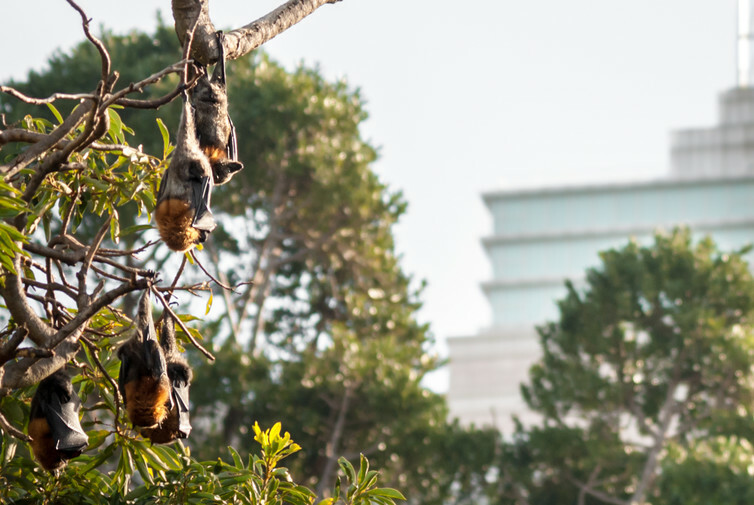 We argue strongly that targeted research is needed to better inform land managers and affected communities of flying-fox ecology and provide them with low-cost, low-risk, evidence-based tools for dealing with urban roosts. Flying-foxes don’t care about legislative borders, and state-based responsibility for wildlife management leads to discontinuity in approaches between jurisdictions. While flying-foxes are being monitored at the national scale, this initiative needs to be combined with a uniform federal approach for managing flying-foxes in our human landscapes. Otherwise, conflicts such as those faced by the residents of Batemans Bay will continue unabated.